In "one of the funniest and most heartfelt baseball stories in recent memory" (Publishers Weekly), Howard Frank Mosher returns to Kingdom Common, Vermont, to spin a touching coming-of-age tale in an America that has almost disappeared. From this remote village, noted for its fervent devotion to the Red Sox, comes Ethan “E.A.” Allen, a young man with a chance to change baseball history. Homeschooled, fatherless, and living on the wrong side of the tracks, E.A. is haunted by a dark mystery in his family’s past until a drifter named Teddy arrives in his life, determined to teach E.A. everything he knows about baseball. 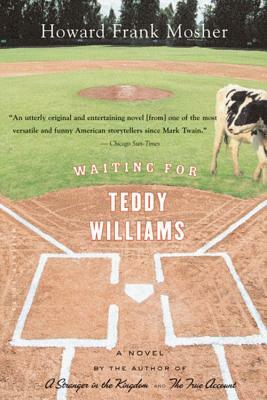 Filled with an engaging array of rambunctious, memorable characters and brimming with faith, Waiting for Teddy Williams is an irresistible read that reminds us that dreams—no matter how far-fetched—sometimes do come true.